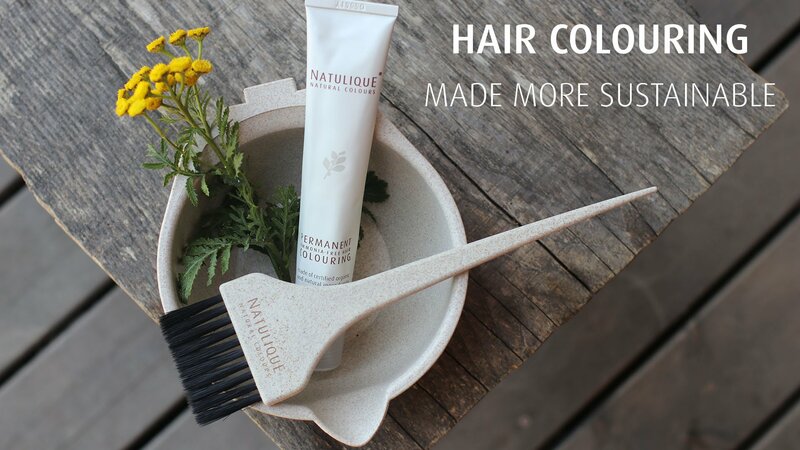 Complete your colouring tool set with NATULIQUE’s new Straw Fiber Bowl and Brush! In the present we have become more aware not only of what products we use, but also how those products get to us, what package they have and ultimately how we use our products. In order to put that awareness into practice, we need to make better choices. You are probably already using regular plastic mixing bowl in your colouring process. These regular plastic bowls can take up to 1000 years to degrade in soil. Long time, isn’t it? It is easy to reduce your own environmental impact by picking a better colouring tool. Therefore, we are more than thrilled to introduce our Natural Straw Fiber Bowl and Brush – something to complete your sustainable colouring process! As an organic product business, our mission expands beyond what is in the package. We are on a constant path of figuring sustainable solutions and ultimately minimizing our environmental impact by delivering more smart products. Upcycling in its most pure and natural form. Whenever agricultural straw waste is created in the harvesting process, it is treated as such and thrown away. But wait! Can’t we still use it for something else? By combining polypropylene (PP) and straw fiber, Straw Fiber Plastic (SFP) is created, which belongs to the family of biodegradable plastics. This is the material we use for NATULIQUE’s Natural Straw Fiber Bowls and Brushes! Their production reduces the amount of plastic used in the process. Using the straws as a component also reduces the air pollution as the straw is reused instead of burnt. Straw Fiber Plastic is completely biodegradable, so it will dissolve in nature once thrown away. Opposed to regular plastic, it will only take a year for complete decomposition into the ground. The best way to see how the Natural Straw Fiber Bowl and Brush can be your new colouring partner is to simply give them a try. They perform their task, are a perfect match for our natural colour range and leave your conscious mind in peace. They come in a classy NATULIQUE brand colour and can be easily cleaned after usage. In order to become a proud owner of our product newbie, just include it in your next order.